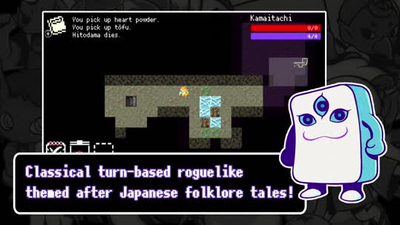 Bite-sized but very tough to chew, Yōdanji is a devilishly tricky roguelike with a fun theme, addictive, goal-based gameplay and massive replay value. Its 21 unlockable characters are the key to the latter, with each yōkai essentially acting as its own unique class, and discovering and trying to master the mechanics of each monster is pure old-school joy. Its anachronistic presentation won't be for everyone, and clunky controls make for a sometimes confusing crawl, but anyone looking for a tough-as-nails good time with plenty of personality will get more than their money's worth here. While there certainly will be a market of people that will enjoy Yodanji I think that selection of people will be fairly narrow. Yōdanji is eminently playable, and perfect for short bursts in between more meaty games. 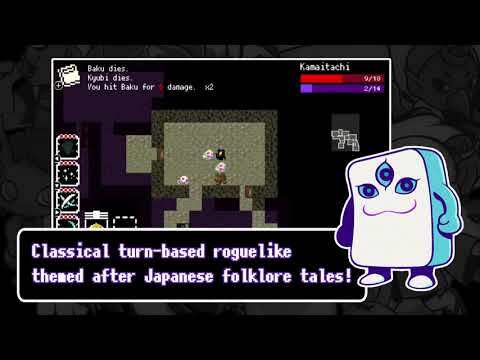 Yodanji manages to take Japanese Folklore monsters and turn them into a dull turn-based rogue-like. The random nature of the game completely undermines any interesting ideas and, unfortunately, the whole experience ends up falling a little flat as a result.